A lovely doggerel dedicated to the British Royals after whom many Karoo towns are named. Visiting the Karoo Space e-Bookstore has never been easier! Chris Marais and Julienne du Toit are the two co-founders of Karoo Space, a website that focuses on South Africa’s Karoo semi-desert. 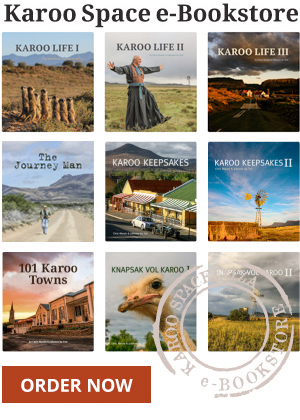 Karoo Space eBookstore Goes Live! New era for Karoo Space – an e-Bookstore!